A very rare photo of my grandparents. Welcome to “Vintage is Now” Day 28. For the past month I have posted a framed vintage project every day. For those who visit our shop, you will see this restored framed photo with the original, which has a crack across the faces. This was one of the our first photo restorations, and one of my favorites. These are my grandparents, most likely taken in the late 1910’s. There are only a few photographs of my grandparents together as my grandfather was killed in 1929 in an automobile accident. When I look at them I remember all that they have passed on to me. My grandfather was a successful businessman and my grandmother was a gracious and giving woman. The design of this piece is elegant. I used two suede mats and beaded fillet between the mats and in the lip of the ornate frame. I truly wanted this to look like the most important photo in my collection. Although my grandparents are no longer with us, they are remembered every day. 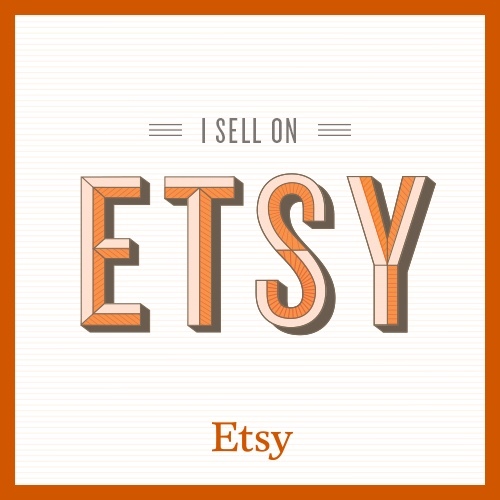 We are happy to help you with your vintage project. Just give us a call. Karl helped liberate Dachau on April 29, 1945. Today’s project was for a customer that I will always remember. A few years ago Karl came to me with several military medal projects to be framed. Karl and I worked on one project at a time, framing his grandfather’s and father’s German military medals. Karl was a retired college professor so he enjoyed telling me the history of each project. The third frame consisted his own medals from WWII. I noticed that his medals were the same as my father’s Army medals from WWII. Karl’s regiment preceded my Dad’s regiment. He enthusiastically told me details of his experience in Europe as an Army interpreter for Felix Sparks. He answered my many questions. At the holidays Karl came back and presented me with a book called “The Liberator” by Alex Kershaw which is an account of the liberation of Europe. On April 29, 1945 Karl was part of the 45th Infantry Division that helped liberate the 30,000 starving prisoners of Dachau. Thanks to Karl for sharing his story and for serving our country. A framed JFK Mass Card was framed to be seen on the front and back. During my 31 years of framing, I have framed just a few funeral Mass cards. This is one that I will always remember. This was a Mass card honoring John F. Kennedy. I framed it for Judy of Holland quite a while ago. It was an honor to frame it and I felt that I was contributing to preserve history. I was just a year old at the time when JFK was assassinated. The framing was simple, functional, and period appropriate. An elegant ruled line in gold framed the mat opening. A second piece of glass and several mats were added to the back so that both sides could be viewed. We added an “Easel Mate” so that it could sit on a shelf. Museum Glass was used on the front to cut down on the glare. Judy acquired this by way of a family member. There are some available for a fair price on Ebay. “Vintage is Now” Day 24 – Here’s Lucy! This project was created from an original black and white snapshot. Welcome to Day 24 of Whispering Woods Gallery’s “Vintage is Now” series. This is an example of how we think “outside of the frame.” We started with a small original 1956 black and white snapshot of Lucy the Elephant, my Mom and sister. It’s special because my brother is in the photo too, he’s just barely showing… Lucy is smiling and my sister is a positively precious toddler! We have many creative elements. Our designer carefully colorized the photo and added fun type to replicate large letter vintage postcards. The vintage style frame choice is perfect for the theme and for the shore home where it is now displayed. The clear beach palette colors work well in a shore setting. Fun mat cutter embellishment were added to the top mat. More than sixty years later Lucy is still delighting visitors in Margate, NJ. Do you have a favorite family photo? Let us create a fun piece that will be a family treasure for years to come. We framed a teaching certificate, ring and photo to create a lasting memory for Mary of Holland. Welcome to Whispering Woods Gallery’s series of vintage photo projects. Every day in April we are featuring a custom framed vintage photo project from our shop. Today’s project dates back to 1910. We framed three very dear items for Mary of Holland, Pa. The Chicago Kindergarten College certificate and photograph had been previously framed and had sadly suffered damage due to improper framing materials. We scanned the photo, fixed the imperfections digitally and made a new copy for this project. We used the original certificate, covering the discoloration with the oval mat. We sewed the ring to the backing board so if needed, it would be in it’s original condition. The frame’s pattern mimics the flourishes of the Copperplate pen and ink writing. The warm tones of the mat and frame work well with the three items. Having a three dimensional object in the frame makes the project come alive. Do you have an idea? We are happy to help! Stop by the Gallery to see similar projects. This photo reprint of the USS Rawlins was recently framed to celebrate a 90th birthday for a sailor who served on this ship in the South Pacific during WWII. We were asked to include the ribbons of this very young sailor who was anxious to join the war. We love the patriotic colors and we thank this fine soldier for protecting our country! We framed these snapshots for a senior citizen moving into an independent living community. A few months ago we worked on an interesting project of framing many snapshots for a new resident of a nearby independent living community. She stopped by the shop with a very large folder of her favorite photos. There were dozens of images spanning many decades! It took a while but we narrowed them down to make two pleasing arrangements. Each photo was meaningful and would bring joy. The framing was exactly to her specifications to fit in two places in her living area. We had several challenges. We had to select from so many important photos. Also we had to keep the size to a minimum. All of the photos were from different time periods so nothing matched. All of the photo sizes were unique making layout a challenge. The end result was perfect and we are delighted to preserve these memories for a resident new to the area. Custom framed photo montage to fit in a specific spot. “Vintage is Now” Day 20-Shoe box photos come to life! One of our customers came in with these snapshots to create a meaningful birthday gift for her husband. We experimented by moving the photos around to come up with this creative arrangement. 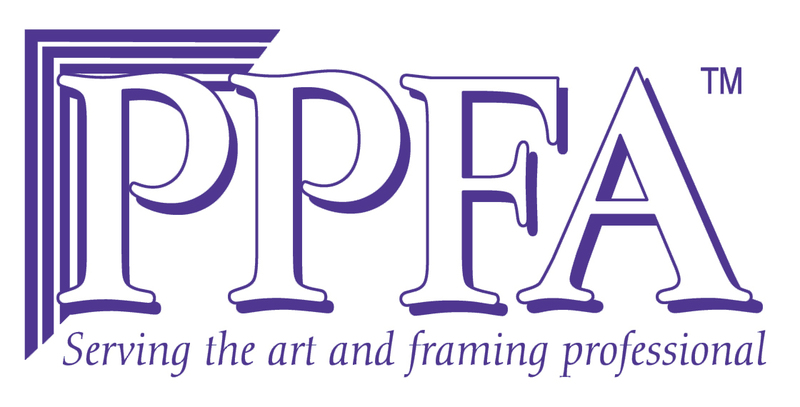 At Whispering Woods Gallery every framing project is a custom design. We framed the original snapshots using a double solid color archival matboard, TruVue Museum glass and an elegant Larson Juhl frame that is perfect for vintage items. The largest photo was embellished with a classic corner cut with a computerized matcutter. Most of us have a few boxes of vintage photos in our closets or under a bed. Why not pick some favorites and make them come back to life? They make a great gift for Mother’s Day, Father’s Day, anniversary or holiday gift giving. A sketch by US Army combat engineer Warren Stichtenoth was framed with original photographs. Day 19 of Whispering Woods Gallery’s “Vintage is Now” goes back to WWII-1945. US Army combat engineer Warren Stichtenoth created this “Cannon Bunker” sketch and a local resident, Wayne Potok recently custom framed it to remember his Dad, Charles Potok. We included original photographs with the sketch and added an engraved brass plate giving pertinent details. The combination of items worked out very nicely. Sadly many our WWII vets are not here share their experiences. Through photos we can share history and keep their memories alive. Today’s “Vintage is Now” photo shows a series of Kim’s fun baby photos from the late 1960’s. These photos bring a smile to everyone that views them! They were framed in the 80’s elsewhere in very bold colors and it was time for a bit of updating. We cut this six opening mat on our Wizard computerized matcutter. Kim chose a stylish ornate Larson Juhl frame with a bit of whimsy. We added an engraved plate with her name and the date. The matting choice is very neutral so whatever home decor colors might be popular, this project will look great. Thank you Kim for letting us share your photos! Early 1900’s photo and calling card. Day 17 of Whispering Woods Gallery’s “Vintage is Now” series features a simple project that means a lot to me. This is an original photo of my grandmother Sophie with her calling card. Similar to a business card, a calling card announced your arrival when visiting. I feel honored to have this as it is a great reminder of my hard-working, determined grandmother. It’s on display at Whispering Woods Gallery. The Larson Juhl vintage style frame is perfect for the early 1900 period of the project. The open v-groove leads you from the photo to the calling card. My choice was TruVue Museum Glass to protect from damaging UV light rays. I know that Grandma would have approved! To see the complete series of “Vintage is Now” visit our Blog Page.